In past blogs we have highlighted recent case law in Montana and Nevada that permitted priority to construction liens where visible work was performed on a property prior to the issuance of a construction loan. In this blog, we’ll take a look at another State’s rules on priorities of liens where work was performed before a mortgage was recorded. In the Michigan case of E.T. MacKenzie Co. v. Sutton Place-Raisin Twp., L.L.C., Case No. 297864 (Mich. Ct. App. 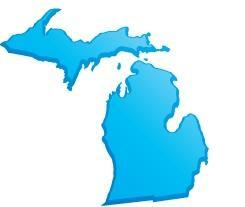 Nov. 22, 2011), the Michigan Court of Appeals was faced with a “priority” issue. While in Michigan it is common knowledge that contractors can file construction liens to securitize payments for labor and material that are provided for the construction of a project, uncertainty often lies in question of whether that mechanics lien will have priority over other encumbrances like a construction loan, mortgage, note or other recorded instrument. On appeal, the lender argued that because the wells were installed for testing purposes only, the wells fit within the due diligence exception to the first actual physical improvement. In support, the lender relied on another recent decision from the Michigan Court of Appeals. See Mich. Pipe & Valve-Lansing, Inc. v. Hebeler Enterprises, Inc., 292 Mich. App. 479 (Mich. Ct. App. May 3, 2011). The Mich. Pipe court held that when making a determination as to what constitutes an “actual physical improvement,” the inquiry is whether the act results in a permanent presence on the property, not whether the action itself constitutes a form of testing. Because the drilling of the well in Mich. Pipe resulted in a permanent presence, the court held that the due diligence exception was not implicated. To the lender’s dismay, the E.T. MacKenzie court relied on the Mich. Pipe & Valve case, but found that because the test wells were readily visible and of a kind that would alert a person upon reasonable inspection of the existence of an improvement, the wells constituted the first actual physical improvement to the real estate. Therefore, because the mortgage was recorded after this physical improvement, the court held it was subordinate to the plaintiff’s construction lien. On another note, the court also held that in order for Michigan construction lien priority to be enforced, subsequent work need not be related to the initial work. The Michigan courts have signaled yet another warning that lenders engage in proper due diligence prior to issuing mortgages on real estate. Physical inspections are part of this due diligence.